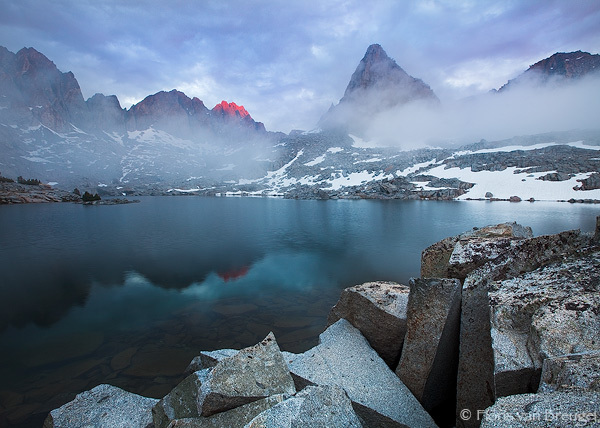 Swirling mists add to the mystery of the mountains surrounding the Upper Dusy Basin of the Sierra Nevada in California's Kings Canyon National Park. Featured peaks (left to right): Mt. Winchell, Thunderbolt Peak, North Palisade, Isosceles Peak, and Columbine Peak.